Beyond the basics, the only limitation is your imagination! 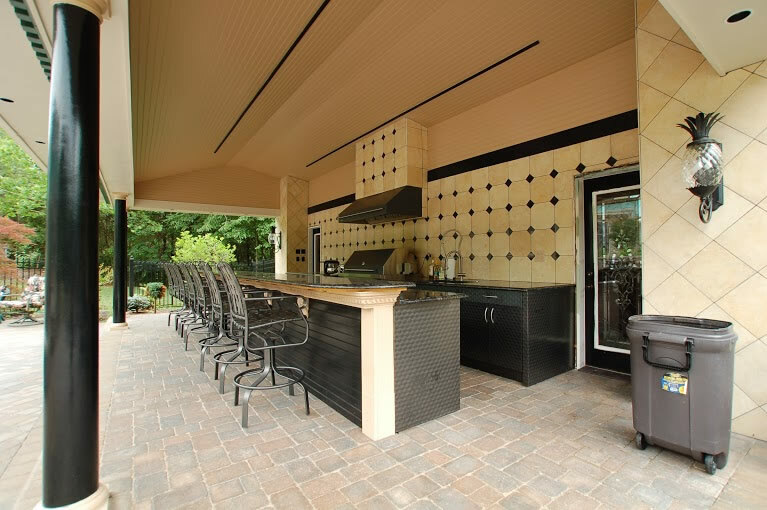 If you love hosting outdoor gatherings in the summertime then an outdoor kitchen will take your parties a whole new level. 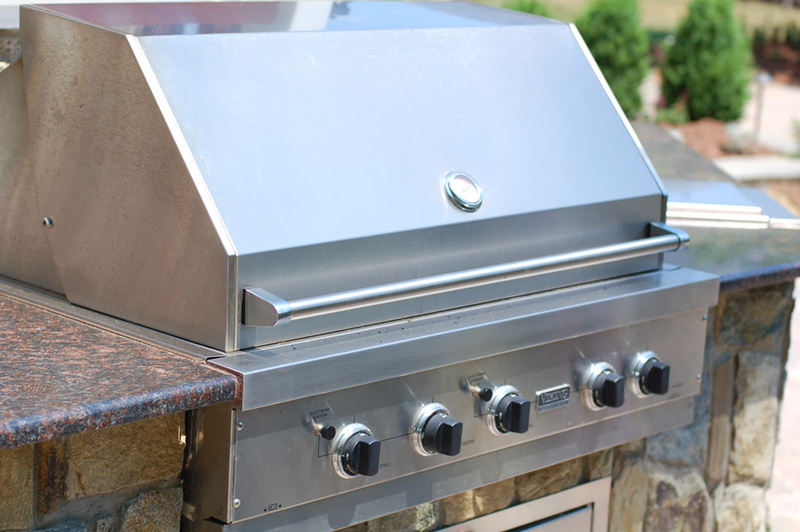 Much more than just a grill on your patio, an outdoor kitchen can be fully equipped with plumbing, appliances, and luxury features that rival any indoor kitchen. 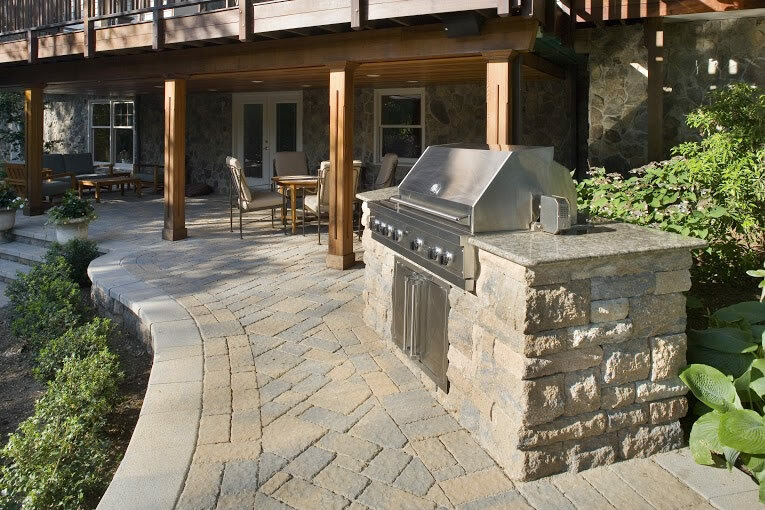 For those who love to cook and want to increase the usability of their outdoor living space, an outdoor kitchen may be the perfect addition to their landscape design. 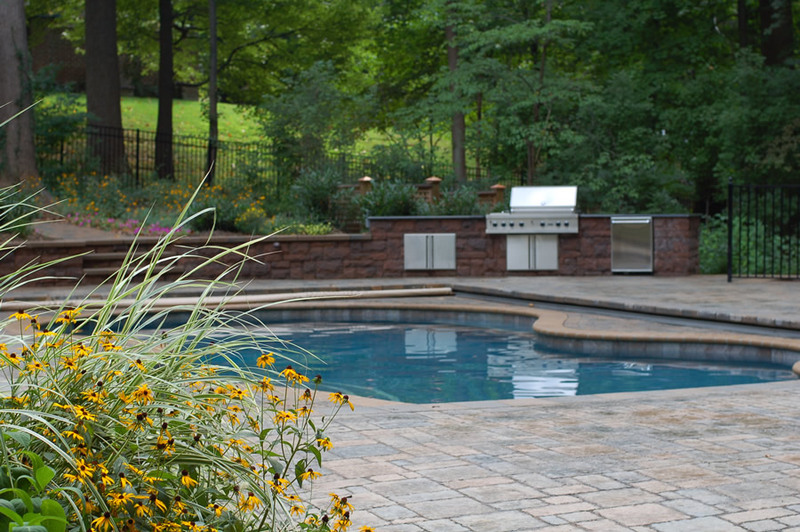 There are many logistical needs that come up during the design and construction of an outdoor kitchen, which is why it is so important to work with a contractor who has extensive experience with the ins and outs of outdoor kitchens. 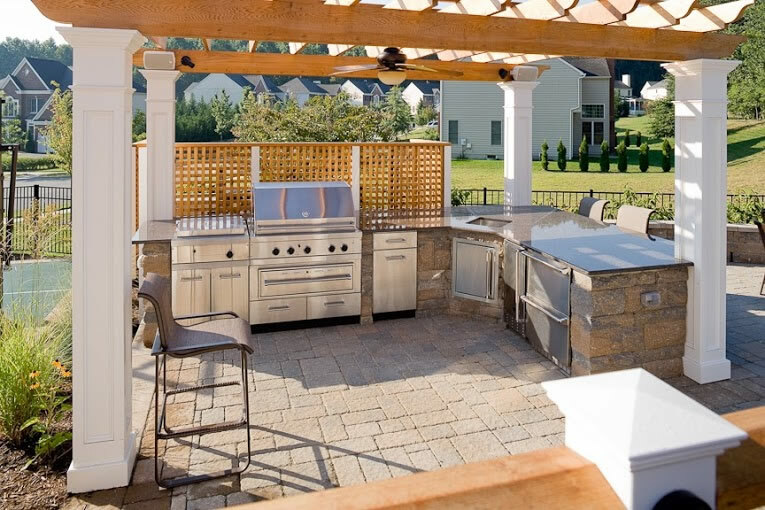 At BR Design Build, we’ve been building outdoor kitchens for over two decades for clients throughout Anne Arundel County, including Annapolis, Davidsonville, Cape St. Claire, Millersville, Odenton, Riva, Edgewater, Severn, Arnold, and Severna Park. 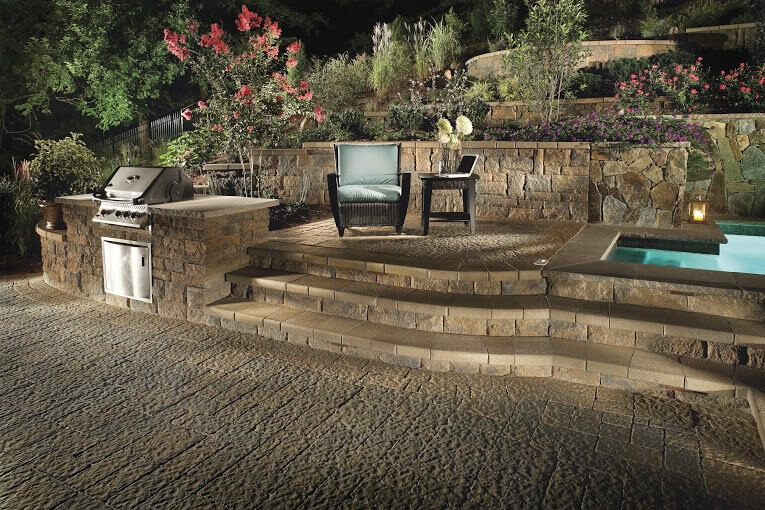 Throughout our decades of experience, we have built up a reputation is a landscape contractor with a fine attention to detail and an honest work ethic. We have many repeat customers who have come to trust our expertise. 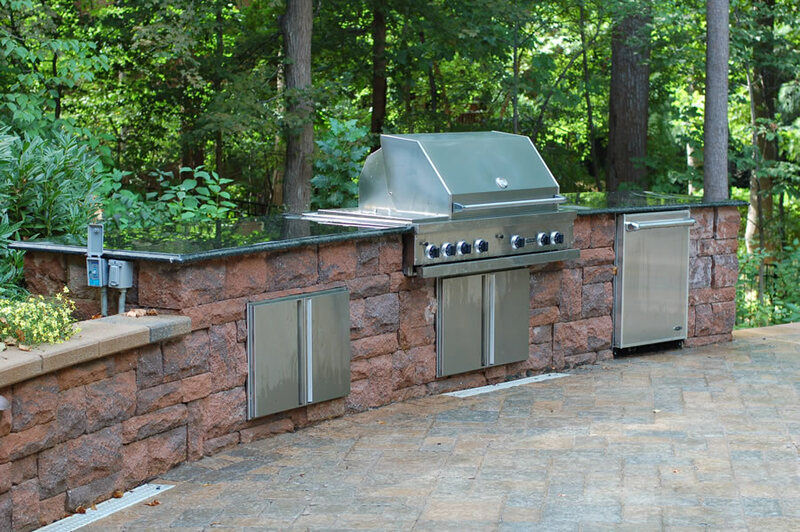 Our outdoor kitchens are turnkey operations, which means you can rest assured that our quotes include all of the work needed. 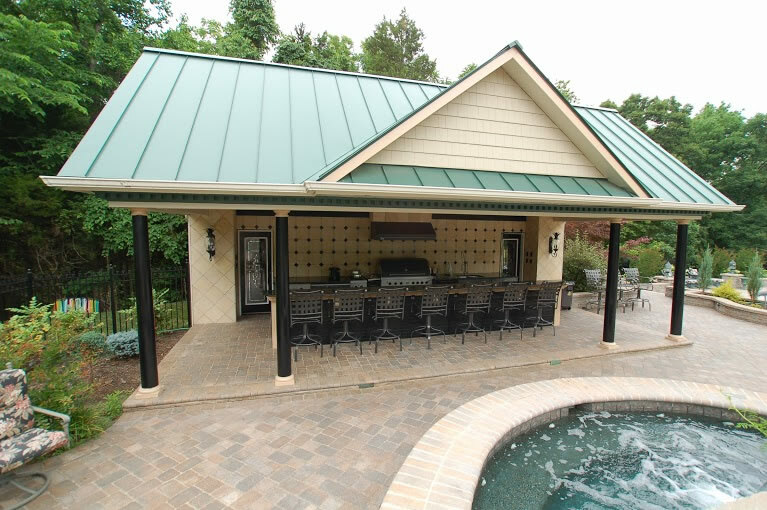 This way, you won’t have to deal with the unexpected headache of additional costs that crop up during your outdoor kitchen project. We may not be the cheapest option available, but you can be sure that we will get the job done right and do everything we can to ensure your complete satisfaction with the finished product. 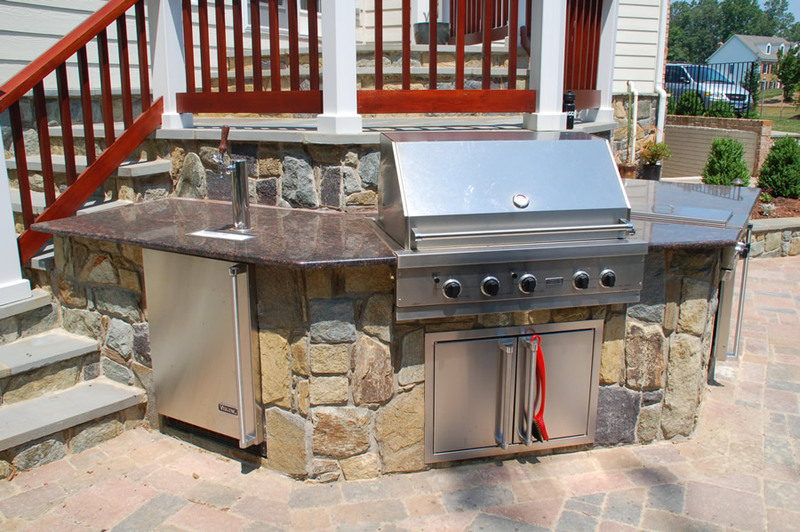 What Features Are Most Important in an Outdoor Kitchen? Beyond the basics, the only limitation is your imagination! 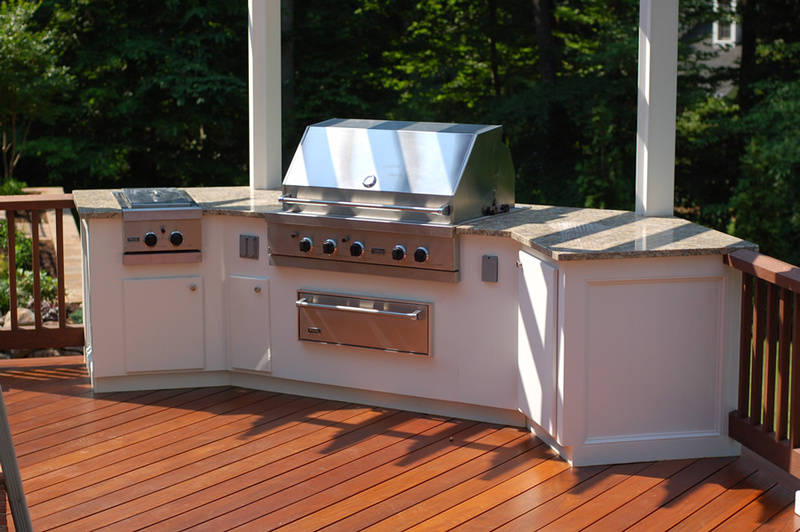 We have built all types of outdoor kitchens, ranging from small and simple projects to ones that would rival the most luxurious indoor kitchen. Appliances must be weather-rated in order to survive the elements, and we can provide guidance on choosing the right ones for your project.